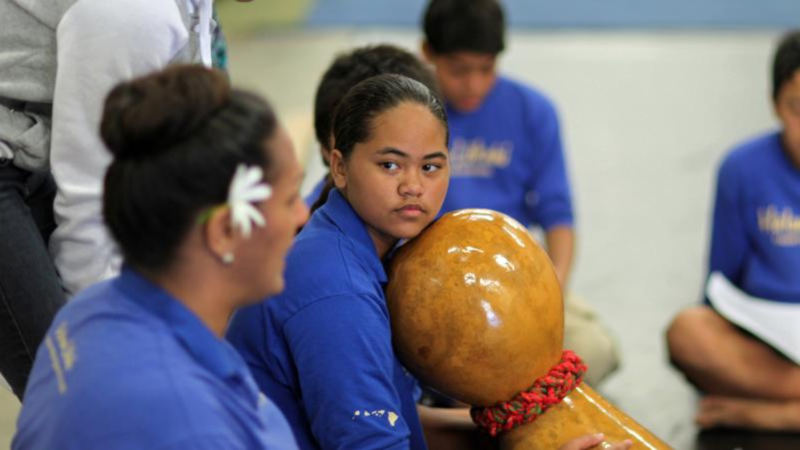 A PLACE IN THE MIDDLE is the true story of a young girl in Hawaiʻi who dreams of leading the boys-only hula group at her school, and a teacher who empowers her through traditional culture. 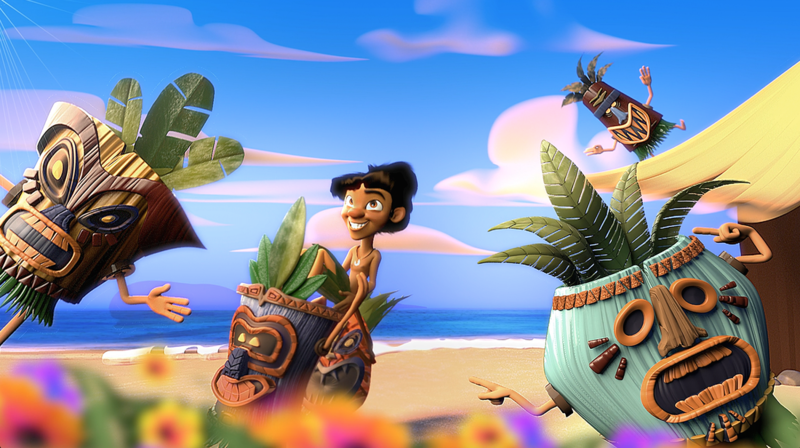 This kid-friendly educational film is a great way to get students thinking and talking about the values of diversity and inclusion, the power of knowing your heritage, and how to create a school climate of aloha – from their own point of view! Kevin is a 2015 graduate of Ringling College of Art and Design and majored in Computer Animation. He enjoys animating, songwriting, and voice acting, and hopes to one day create his own animated television series. Today is the day Hohe becomes a true member of the Tiki Tribe and can finally be with Alana, the tiki girl of his dreams. The village crowns Hohe as the new "Mohai" and celebrates in song, carrying him to the top of a volcano. However, they then inform him that his role as “Mohai” is to be a sacrifice to the volcano gods. Now, Hohe must decide if he will sacrifice himself or flee and doom everyone in the tribe, including his one true love. A teenage girl finds herself dreamless and bored in the middle of the night. Unsatisfied with this, her dream self decides to go exploring the dreams of her family. She drifts through the walls of her house, jumping into these dreams of different animation mediums, which she fill her with color, experiences, and adventure. Cassandra DenDanto (Executive Producer/Director/Lead Animator) is a recent graduate of Ithaca College with a Bachelor’s Degree in Cinema Production. She has had a full four years of cinema and television production experience, including working on dozens of student films, directing photography for ICTV’s first musical show, Staged, and traveling to/interning for productions in New York, London, and Los Angeles. Her internship experiences include positions at documentary company Seftel Productions, animation studio Rohan Wadham Creative, NBC Sports for the 2014 Sochi Winter Olympics, Nickelodeon, Sony Pictures’ The Queen Latifah Show and CBS’s The Big Bang Theory. She has also produced film festival selected short film, Isabella’s and two short animated films, Solar Sauté and Desk Dreams. Cassandra is created this thesis film as a way to combine many of her experiences and acquired skills into one project. 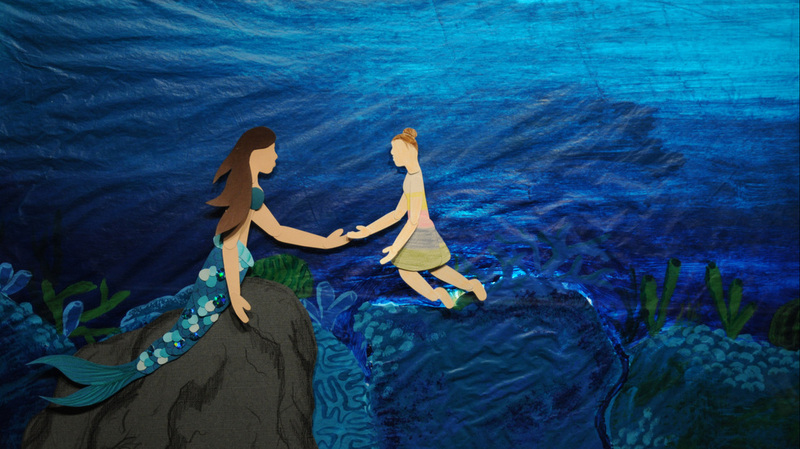 The piece represents her love for cut paper animation, photography, studio shot productions, and dreaming big. 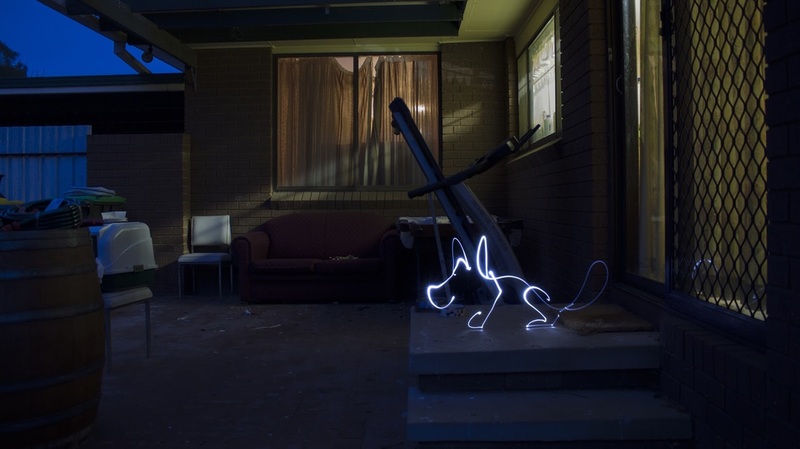 The mixed-media aspect reflects Cassandra’s many interests in the world of media production. Cassandra currently resides in Los Angeles where she works as the stage production assistant for season 9 of CBS's the Big Bang Theory. lights fade to return to another land tired from a night of playing. pieces that i worked on throughout the year with two of my classmates Aaron Murdoch and John Bortolazzo. It took us a total of 9 intense weeks to create the film where we were out every night in temperatures around 3-10 degrees celsius. I am also currently in the middle of a Second degree at CSU; a Bachelor of Creative Arts and Design (Graphic Design) and will be graduating a second time in 2016. i am looking forward to making more animations and getting into the industry as quick as i can. Antje Heyn is a Berlin based animation director and illustrator. Besides setting her heart on creating characters and bringing them to life she teaches animation at art academys and is running the Protoplanet Studio. Babak DOB: Sept 1978. BA in Graphics - 2003 - University of Tehran. Lecturer in Animation Film Making - 2004 to present - University of Tehran and Tehran University of Art. Director and Animator, Co-founder and CEO of Gonbad Caboud Studio. Behnoud DOB: Feb 1982. BA in Graphics - 2003 - University of Tehran. Lecturer in Animation Film Making - 2008 to present Director and Animator. Co-founder and CEO of Gonbad Caboud Studio. All the workers in a factory have been instructed to paint stripes on the boxes. The work is getting done in the usual mundane way, until one of the workers decides to paint the boxes differently. 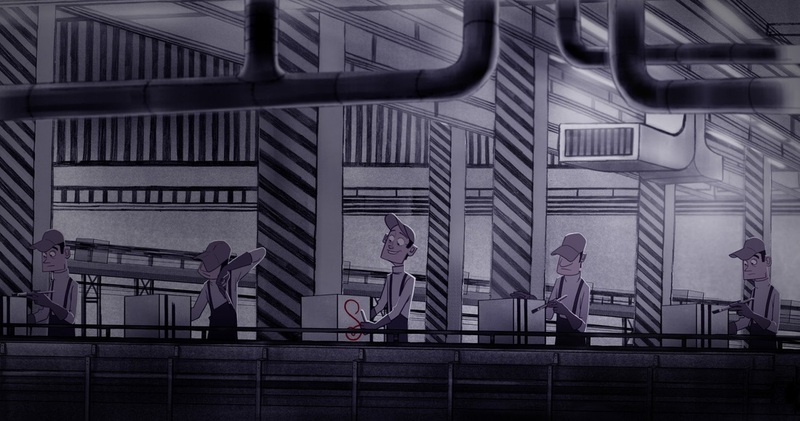 A little girl is taken on a mind­bending tour of her distant future. Don Hertzfeldt is an Oscar­ nominated American independent filmmaker whose animated films include It's Such a Beautiful Day, The Meaning of Life, Billy's Balloon, and Rejected. His work has played around the world, receiving over 200 awards, and recently appeared in a special guest appearance on The Simpsons. Seven of his films have screened in competition at the Sundance Film Festival, where he is the only filmmaker to have won the overall Grand Jury Prize for Short Film twice. His first feature film, It's Such a Beautiful Day, was named by several critics as one of the Top Ten Films of 2012. In 2014, Time Out New York named It's Such a Beautiful Day # 16 on their list of the "100 Best Animated Movies Ever Made." In 2014, Hertzfeldt wrote, directed, and animated a special two minute intro for the season premiere episode of The Simpsons. 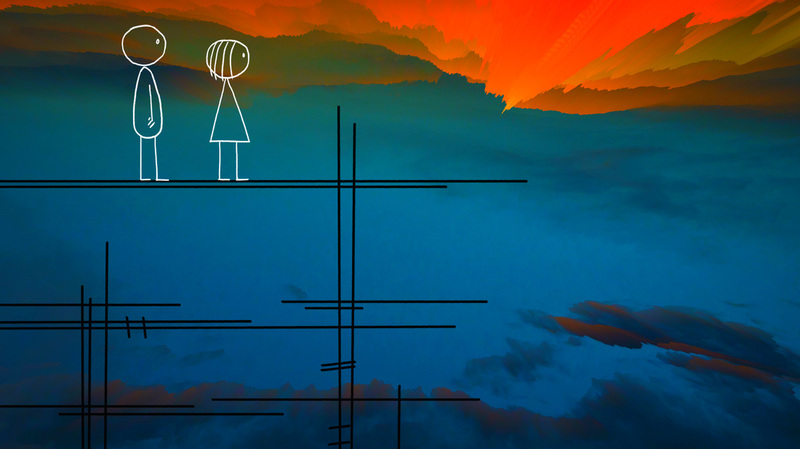 After creating animated films for nearly twenty years using traditional tools (pencil, paper, and 35mmbcameras), World of Tomorrow represents Hertzfeldt's first 100% digital production. The voice cast stars English illustrator Julia Pott alongside Hertzfeldt's four­year­old niece, Winona. Winona's voice was quietly recorded while she and Hertzfeldt drew pictures together and talked about the world. 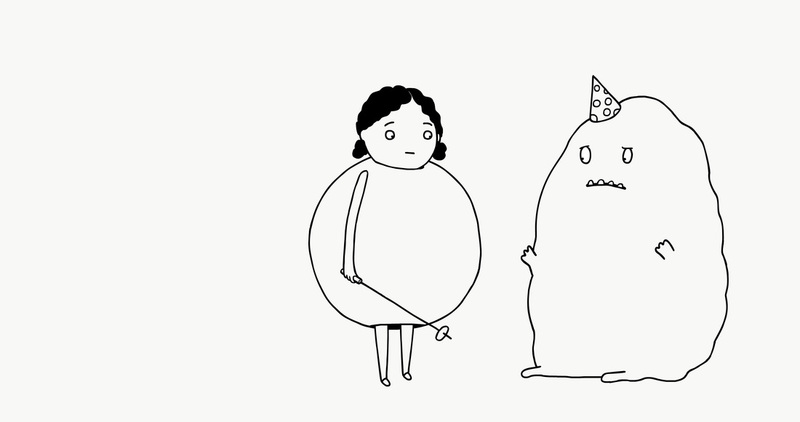 From these raw sessions, Hertzfeldt took her candid reactions and partially rewrote the story (and Julia's lines) to create their characters' seamless conversations.